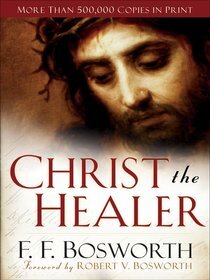 F. F. Bosworth's earnest prayer was that many thousands would learn to apply the promises of God's Word to their lives through his book, Christ the Healer. Bosworth offers an astonishing discussion of healing, based on the premise that Jesus redeemed us from our diseases when he atoned for our sins. This classic on healing, first released in 1924, has sold more than 500,000 copies and continues to enrich and inspire new readers every day. This revised and expanded edition includes a brand-new foreword and epilogue on the remarkable life and healing of the author himself, written by his son. About "Christ the Healer (& Expanded)"